Is there one martial art that can top all the others? One of the world's best Mixed Martial Arts (MMA) fighters, Aleksandr Emelianenko, says that it is the Russian combat discipline of sambo. 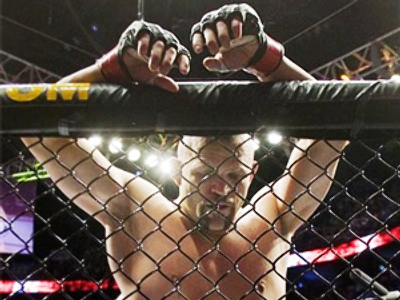 Together with his brother Fedor –the so-called “baddest man on the planet” – Aleksandr Emelianenko, who is one of the MMA's top ten heavyweight fighters and three-time world sambo champion, the two have a combined 48 MMA wins. Indeed, if mixed fighting allowed tag teams, they would likely be undisputed world champions. “Actually, we are the best. We beat them all. All schools, all styles. We faced different martial artists, representing various techniques and proved that sambo – which we came from – is the toughest and most efficient discipline. And we call on everybody to try this sport,” Aleksandr Emelianenko said. With sambo primarily a wrestling discipline, enforced by hand-to-hand fighting techniques, Aleksandr explains why it proves to be so efficient in the mixed fighting arena. “It is far easier to teach a wrestler to punch than, say, a boxer to wrestle. Wrestling techniques are something that you have to learn from a young age. It requires special movement and coordination. That is why the majority of top mixed fighters have solid wrestling backgrounds,” the 28-year-old explained. Aleksandr is still steadily climbing his way to the bright lights. He wants to reach the summit, he says, but adds that the prospect of facing his older sibling Fedor – also known as “The Last Emperor” – on the canvas is out of the question. “My elder brother is undoubtedly the best. But we will never step into the ring against each other. We train together, we are sparring partners – and that is always for real. But it's just training. Besides Fedor, there are a lot of worthy fighters, and I want to beat them,” the fighter said. “I am not in charge of choosing opponents. I always tell my promoters that it is up to them. I just fight anybody they tell me to fight. I do not want anybody to say that Aleksandr Emelianenko wants to fight one and doesn't want to fight another. I want everybody to know – I would like to take on the best ones, beat them, and prove that I am a better fighter,” he added. And that is exactly what Fedor and Aleksandr have been doing, dominating the MMA arena and promoting Sambo as one of the most effective martial arts. Luckily enough for the Emelianenko brothers, there is no end of opponents waiting to take them on, meaning they have plenty of chances to keep sambo alive.